SBCA accomplished a lot this year that will benefit CMs, and the entire SBC industry, in significant ways going forward. As I look back at the past year as SBCA President, I’m amazed at what we have collectively accomplished through the association. The primary goal of SBCA is to help each and every one of us preserve our current market share, while positioning us in a good place to expand it going forward. Sometimes, like in the case of International Residential Code (IRC) Section R501.3, we had to band together to preserve market share from external forces. As with the template truss design drawing (TDD) notes we developed, we had to formulate a strategy to manage our exposure to the liability our vendors, customers and project design professionals want to shift onto us. Fortunately, at other times, through Framing the American Dream (FAD) and our WorkForce Development (WFD) efforts, we had the opportunity to pursue proactive approaches to help component manufacturers (CMs) grow their market. We’ve previously outlined how 2012 IRC Section R501.3 creates a competitive disadvantage for floor trusses and I-joists (see “Reevaluating Your Investment Strategy” in the March 2015 issue). In states like Ohio, Minnesota, Massachusetts and Pennsylvania, this code provision caused immediate and significant harm to CMs’ market share once it was part of a state’s building code. In states where basements and below-grade storage areas are prevalent, this code provision fosters a permanent change to the floor system marketplace when cost is a builder’s main motivation. The degree to which the code provision’s authors (National Association of Homebuilders, American Wood Council and firefighters) have fought our efforts to amend or strike out this code provision during state and local code hearings says a lot about how valuable this provision is to their special interests. It’s one thing to read or hear about it in the news as they talk about Congress; it’s an entirely different thing to witness it happen right before your eyes. In the end, we agreed the best way to combat the political nature of this issue was to back our industry’s position with sound science and good old-fashioned test data. We conducted a series of ASTM E119 tests and found there was no justification for excluding sold sawn 2x10s from the single membrane gypsum requirement. Fortunately, this conclusion is also backed up by data collected by Underwriters Laboratories (UL) through separate E119 testing. We are now taking this data to decision-makers in several states to make them aware of the consequences of R501.3. Effective April 2015, the American Softwood Lumber Standard (PS 20-15) effectively states the lumber industry does not stand behind the design values it publishes for visually graded lumber. PS 20-15 now defines design values as, “published design data that are representative of the strength and stiffness of specific grades and species/species groups of lumber.” This language of the standard clearly shifts the burden of determining the actual design values of individual sticks of lumber to the end user. In our business, where the truss design software we use assumes published designvalues are accurate and reliable, taking on that burden represents an exposure to risk. We are in the truss business, not the lumber evaluation business. That’s the responsibility of the companies that produce and supply the lumber to us. When we buy lumber, we aren’t just purchasing wood fiber (if that were the case, we’d all buy the cheapest #3 we could find); we’re paying for the design values that correlate to the grade stamp on the particular piece of lumber. That’s why SBCA has worked hard this year to create template language CMs can use to better define the assumptions we make when we engage in truss design and manufacturing. The best practices developed by SBCA are intended to be used by CMs in their TDD notes, customer contracts, submittal cover sheets and truss placement diagrams (TPD). This comprehensive approach is consistent with the ANSI/TPI 1 standard, and helps CMs clarify their role in the building design process and the design and manufacture of structural framing elements. If you haven’t already, I’d strongly encourage you to look at this template language and consider incorporating it into your documentation. For the past 20 years, our industry has answered this question using data collected during the first Framing the American Dream (FAD) project. Since then, our industry has advanced significantly, thanks in large part to the growing capabilities of design software and computerized production equipment. This year, we will have the ability to capture these advancements more effectively as we build two homes side by side in Jackson, WI, as part of the 2015 BCMC Build project (see “Renewing the Dream” in the August 2015 issue). As labor issues persist (both in terms of quantity and skill), the information we collect through FAD will help CMs provide an even more compelling argument to builders and general contractors to switch from labor-intensive, conventional framing methods, to componentized framing. Our hope is that this FAD project will solidify and/or significantly increase market share for CMs across the country. Builders aren’t the only ones facing a lack of viable workers. In our industry, it’s also very difficult to find people qualified to do truss design or willing to do the hard work of fabricating them. Headhunters present a short-term solution, but it’s one that not only costs more than it should, it significantly erodes our industry’s overall ability to meet the needs of our customers. It hampers our ability to not only be profitable, but also to be businesses that allow for long-term, professional development and growth for our employees. That is why SBCA has worked hard to develop a variety of tools to help CMs take the more effective and proven strategy of building a pipeline of employees through local high schools, tech schools and community colleges. Today, the CMs who aren’t struggling with this issue are the ones who have committed to this strategy. I can attest it takes time and effort on the front end to get going, but it isn’t hard to do, especially with all the tools SBCA has developed. Engaging in this relationship-building with educators in your community pays significant dividends in the long run. You may also be surprised at how it can sometimes address short-term shortages as well, through internships and seasonal work positions during the summer months. It’s been an honor and a privilege to serve as SBCA President over the past year; it’s also been a lot of fun. We have a terrific Board of Directors and Executive Committee that is focused on moving the entire industry forward in a way that will benefit all CMs. I’m excited to pass the reigns into the capable hands of Jess Lohse. I know he will do a great job leading this organization just as he’s done with his own company. I want to thank all the Committee Chairs and Board members for their concerted efforts to make this a great association. I also want to thank the Executive Committee and all the Past Presidents who have been my mentors and advisors over the past 15 years; the knowledge they have shared with our industry cannot be found in any textbook or class. Finally, to my friend Scott Ward, thanks for all your hard work the past couple years and bringing us to the strong place we are at now. If you haven’t been involved with SBCA at the state or national level, I have to say you are missing out. There is nothing better than accomplishing your goals as an association with a group of your peers to help better our industry, whether the goal is educational or legislative. You will find it easier and more gratifying to work together as a group than trying to go it alone. The very best part of this is the friendships you foster through these activities. They are irreplaceable both personally and professionally. 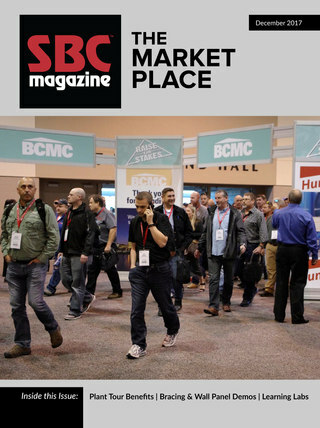 SBC Magazine encourages the participation of its readers in developing content for future issues. Do you have an article idea for an upcoming issue or a topic that you would like to see covered? 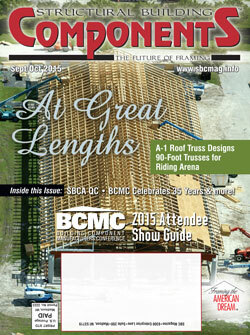 Email your ideas to editor@sbcmag.info.